In order to gather an informed opinion of the waste stream that has historically been deposited into Rattlechain lagoon, it is necessary to explore the origin from which it came, namely the former Albright and Wilson Factory at Trinity Street Langley, Oldbury West Midlands subsequently owned by Rhodia UK Ltd and now The Solvay Group. The historic disposal of waste, planning history on the site and the nature of the processes involved are also of relevance. 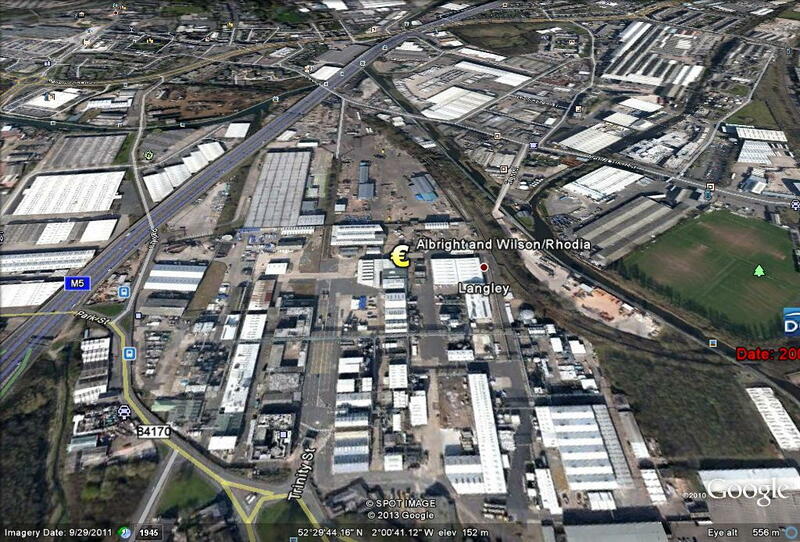 The geographical context of industry in the area and the transport links which served them are equally important. There is a great deal of overlap of subject areas, and where possible these will be referenced on this website.